Does your posture need improving? Dr. Vera Baziuk teaches a monthly rehabilitative posture and back exercise class. Here, students learn how to strengthen and stretch key muscles involved with posture to improve comfort and ease while sitting and standing. Alongside chiropractic care, patients learn how to actively participate in exercises that improve strength, flexibility and posture for long term benefit. The first part of the class focuses on legs. 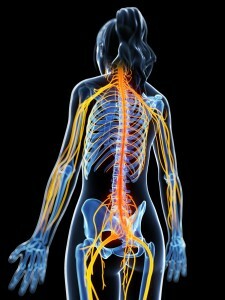 The legs are considered organs of action for the lumbar spine. If the legs become stronger and simultaneously more flexible, the work and pressure is removed off the lumbar spine. Students are guided through a series of leg exercises and stretches all designed to improve strength and flexibility for the legs and lumbar spine. The second part of the class focuses on the chest and shoulders. The shoulders are considered the organs of action for the chest and neck. If the shoulders become more flexible and align within the socket better, strength can return to lift the chest up, relieving pressure off the neck. Classes are held on the third Tuesday of every month. Please arrive a few minutes early to register and secure your spot. Intimate class size of 10 people allows Dr. Vera to carefully watch participants perform the exercises correctly to avoid any injury. Click here for the next class! What to bring?? Please wear comfortable shorts (visual of a knee required) or leggings and a yoga mat (if you have).